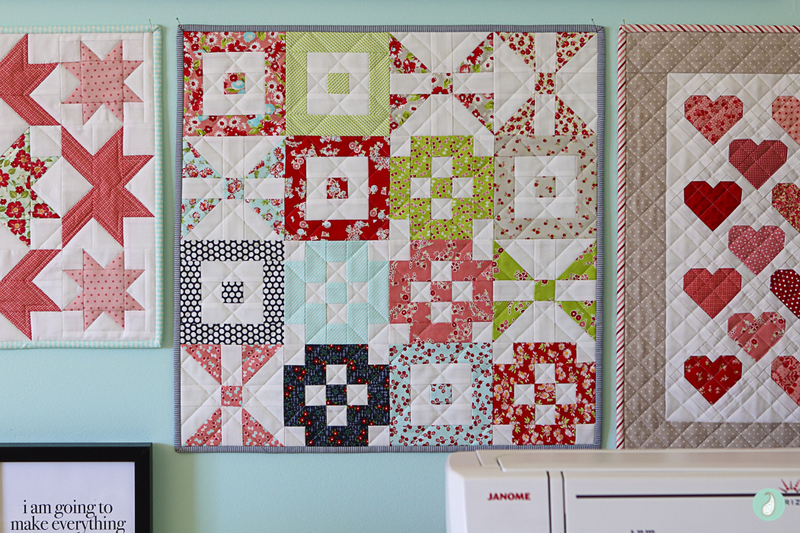 When I heard Kait from @knotandthread announce a year long mini quilt quiltalong, I was excited to jump on board! 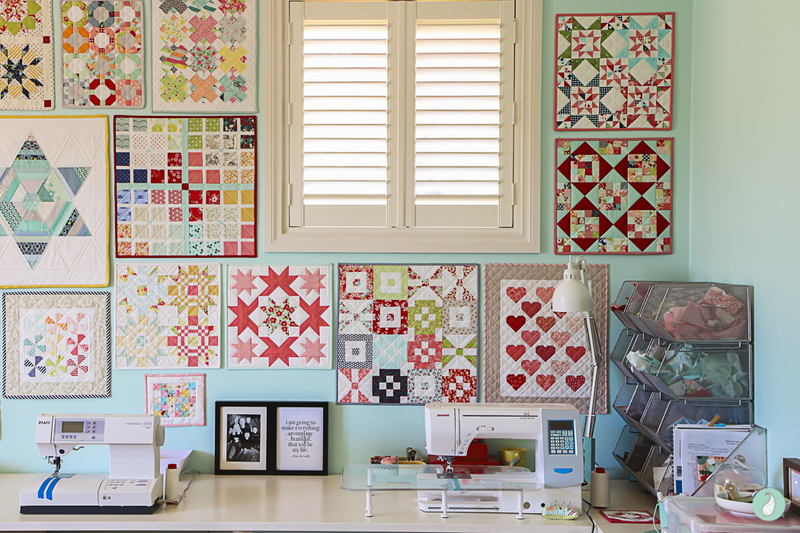 Not that I need an excuse, but if anyone asks – I have a bare wall in my studio that could use some attention, and a list of patterns a mile long that I want to make. How could I not play along? ;). 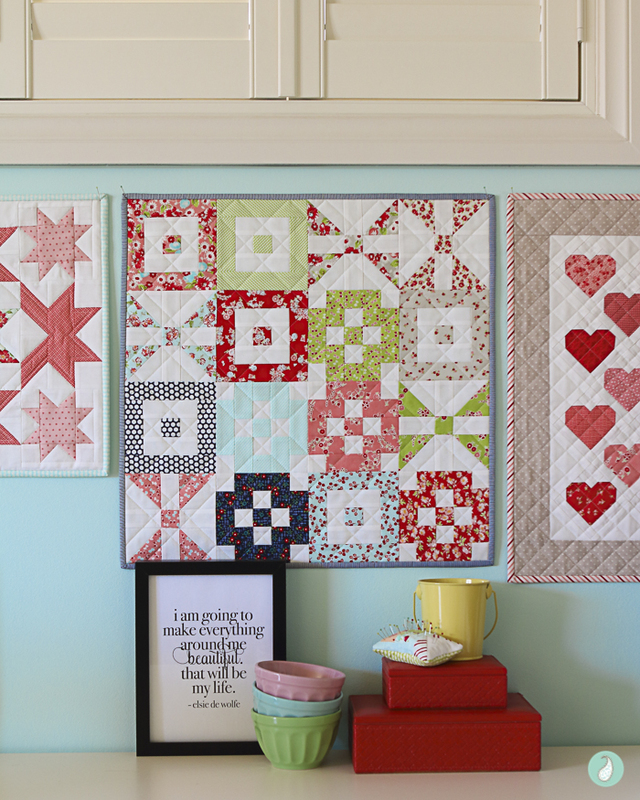 When is a Mini Quilt not a Mini Quilt? 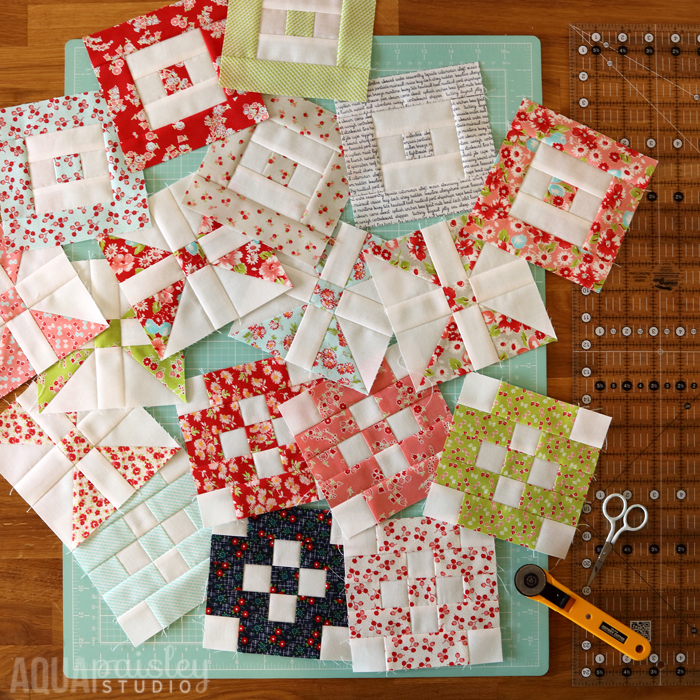 In March last year I needed a creative spark to motivate me after the weight of working through a number of other projects, and so I decided to make some blocks from the 2017 Patchwork Quiltalong project hosted by the Fat Quarter Shop. One of the great things about starting something new is the boost in motivation which inevitably results, which can then be a catalyst for finishing other projects. Starting something new is exciting – and once you are ‘in the zone’, it’s easier to apply that motivation to whatever priority you choose. While the Patchwork Quilt is stunning I didn’t get much further than a handful of blocks before I moved on to the next project. That’s okay! They lit the fire that encouraged me to tackle other projects I wanted to accomplish, but then, as is often the way, they became another ‘work in progress’ to add to my list. As 2018 got underway I took stock of my running works in progress, and I decided that the chance of me finishing this particular quilt was slim. 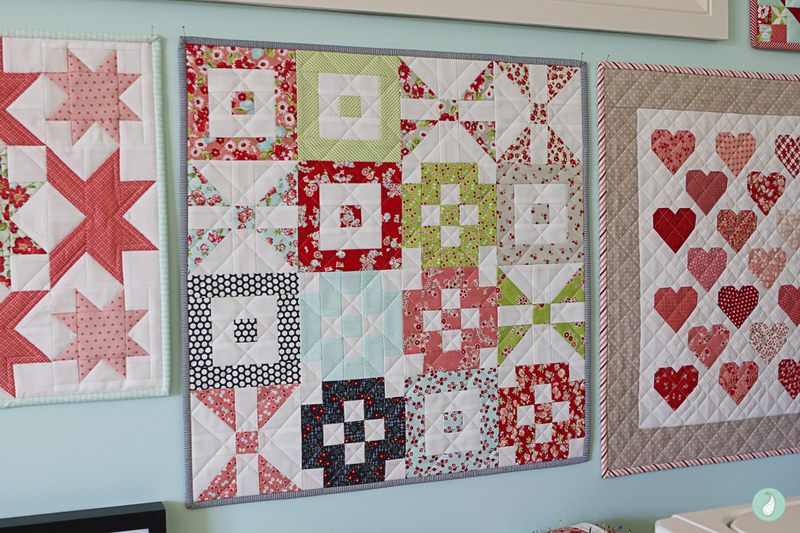 But the blocks were too cute to completely discard – that’s when I decided to turn some of the blocks into a mini quilt. I played around with a number of different layouts before I settled on this ‘random’ version, where the blocks are grouped together by colour, on the diagonal. I like that it’s a little quirky! Nothing fancy, just a simple sewing pin positioned slightly into the wall! I prefer this type of pin because it is fine enough that once removed it doesn’t leave a significantly noticeable hole. And while I haven’t yet had to test my theory, I believe that a fresh coat of paint would most likely be enough to fill the holes if it ever became necessary. 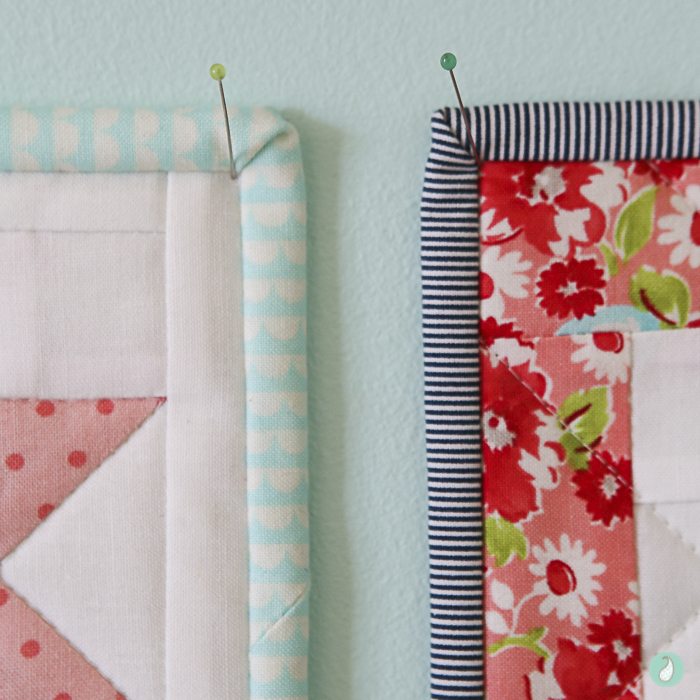 Even though the pins extend from the wall, they really aren’t noticeable, unless you are looking for them! Are you making your own #12minisin12months ? 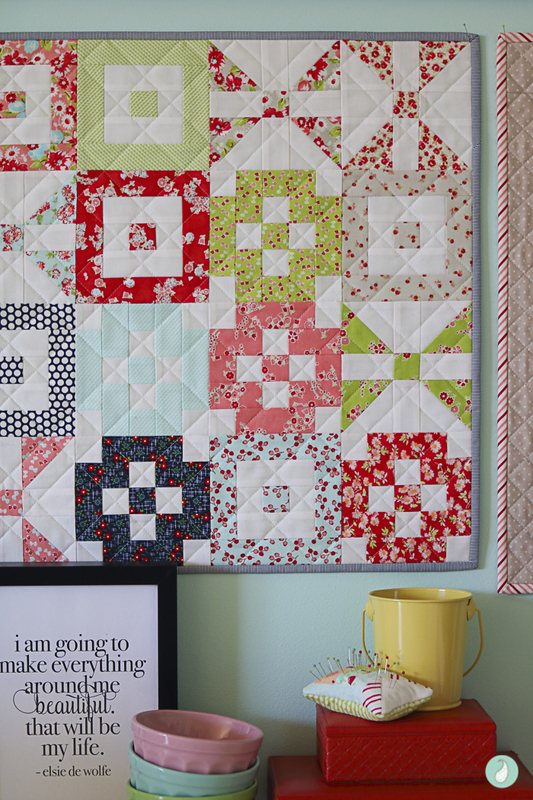 I am following the hashtag on Instagram and am loving all the mini quilt inspiration! I hope you will join in :). Now to decide what to make next………. :). 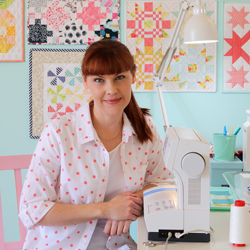 I am excited for your Down Memory Lane quilt-a-long. That has me motivated! I love your mini version of it as well.